I'm a highly seasonal drinker, so right now I'm firmly in the red wine/scotch/dark beer part of my cycle, but when a really exciting white, like this beautiful Albariño from Raul Perez, comes along, I start making excuses to cook white wine foods. 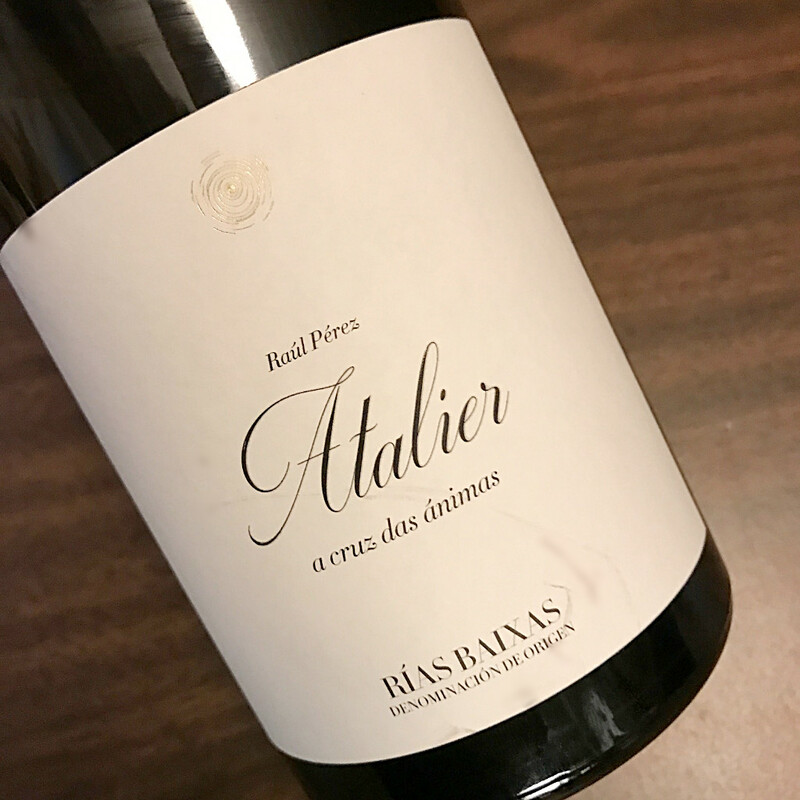 The other day, I was tasting a few wines with a rep and the first one he poured me was this 2016 Albariño Atalier. It was alive - crisp, mid-weight, flowery, briny, savory, with a lovely touch of bitterness and very intense acidity on the finish. As he poured me through the rest of the wines he had, it basically became a Peanuts-teacher situation - everything he was telling me about soil type and fermentation (or who knows what else) basically registered as 'Wha, wha, wha-wha-wha whaaa'. I barely recall what the other wines were or what they tasted like. All I was thinking about was the Albariño, and the task of effectively communicating just how good it was. It's a wine that commands your attention through sheer vigor - there's no way to possibly taste this wine and not have your focus instantly drawn to the glass. Oh, and there are only a few hundred six packs of it that make it stateside and I know that we could take a nice bite out of that!